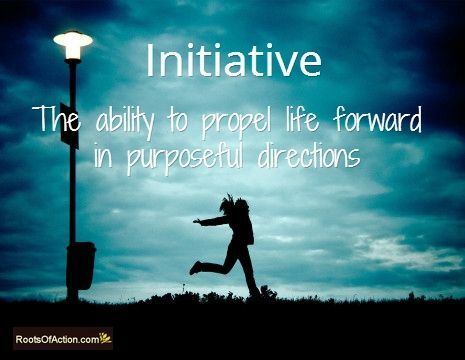 Initiative is the pass-key that opens the door to opportunity. In Napoleon Hills book The Law of Success,there is a chapter devoted to this quality that must be understood and applied, if you desire success in your life. To chose a definite chief aim or purpose is the first step. Then to have this purpose materialize, you must do something every day to get closer to your desired outcome. You must take initiative. I recently published a book, entitled How May I Serve. I use a pen name “Karen Mathews”, because it is a memoir of my life so far. I have wanted to write this book for some time. I took initiative every day to complete my book, and now it is published and available for sale. The goal of my book is to empower women who struggle with limiting beliefs about themselves and what they can accomplish in life. With initiative, I would never have completed this goal. So today, ask yourself, what can I do to Serve others? What do I have to offer? Than create a plan, and do something every day to get closer to it. You will then have taken initiative, which will make you a leader and give you self confidence to keep moving forward in a positive direction. How may you serve? This entry was posted on Tuesday, September 16th, 2014 at 11:44 am and is filed under Goal Achiever. You can follow any responses to this entry through the RSS 2.0 feed. You can leave a response, or trackback from your own site.